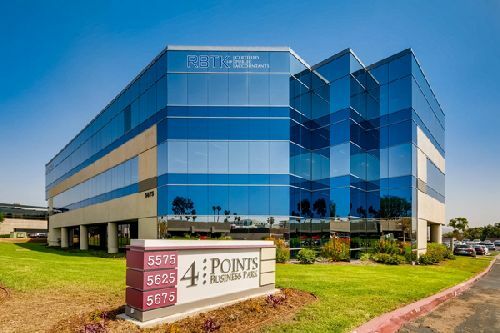 San Diego-based Fenway Capital Advisors and Waterfall Asset Management acquired Four Points Business Park, a 124.5k sf business park in San Diego’s Kearny Mesa area, for $28.2 mil ($227/sf). The asset ws sold by Brookwood Financial Partners LLC. Located at 5575, 5625 and 5675 Ruffin Rd, the campus was 92% leased at the time of sale. The property consists of three free-standing buildings, with floor plates designed to accommodate various tenant layouts and 590 on-site parking spaces. Brookwood acquired the property in 2013 and completed various capital improvements. Four Points Business Park’s tenant roster is comprised of approximately 75% office users, with the balance being medical tenants. CBRE’s Louay Alsadek and Hunter Rowe represented the seller in the transaction. Fenway Capital Advisors and Waterfall Asset Management repped themselves. Kearny Mesa is the only major San Diego office submarket that has averaged single-digit direct vacancy since 2015, which now stands at 7.2%, according to CBRE research. CBRE Econometric Advisors forecasts that the Kearny Mesa office submarket is poised to achieve the greatest rent growth across the county, estimated at 16% over the next three years.